From the Star Wars collection by Bandai Tamashii Nations. Star Wars Akazonae Royal Guard Meisho Movie Realization Action Figure. From the Star Wars collection by Bandai Tamashii Nations. 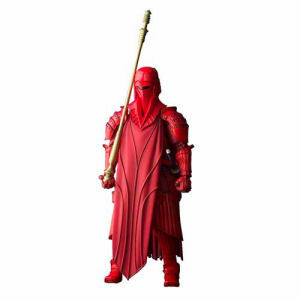 Star Wars Akazonae Royal Guard Meisho Movie Realization Action Figure. Includes interchangeable hands and removable robe pieces. Measures 7 inches tall. Bandai Tamashii Nations Star Wars Action Figures shipping from Canada. No Surprise Border fees or Customs!